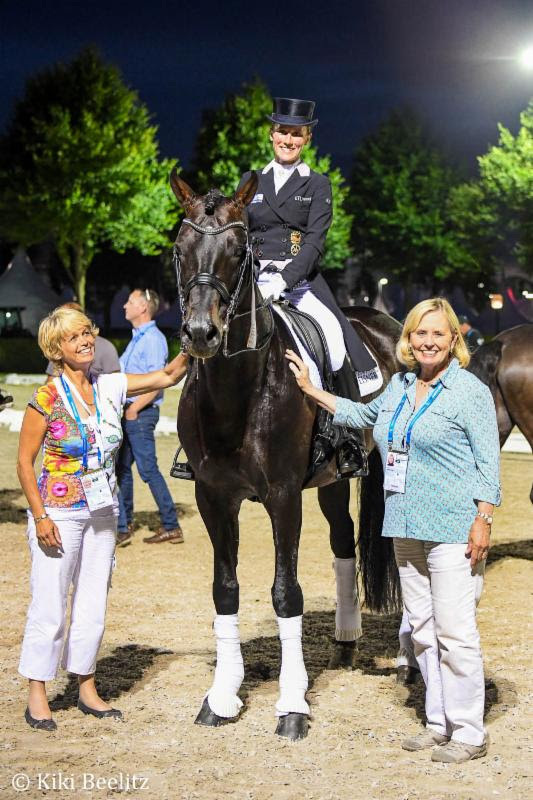 Aachen, Germany – Aug. 16, 2017 – After a stellar performance at the World Equestrian Festival in Aachen, Germany, in July, Helen Langehanenberg and Leatherdale Farms’ Hanoverian stallion, Damsey FRH, secured a position on the prestigious German team for the European Championships. The pair beat the world’s number one ranked rider, Isabell Werth, on Emilio to win the CDI4* Grand Prix with a harmonious ride that earned a score of 75.900 percent. 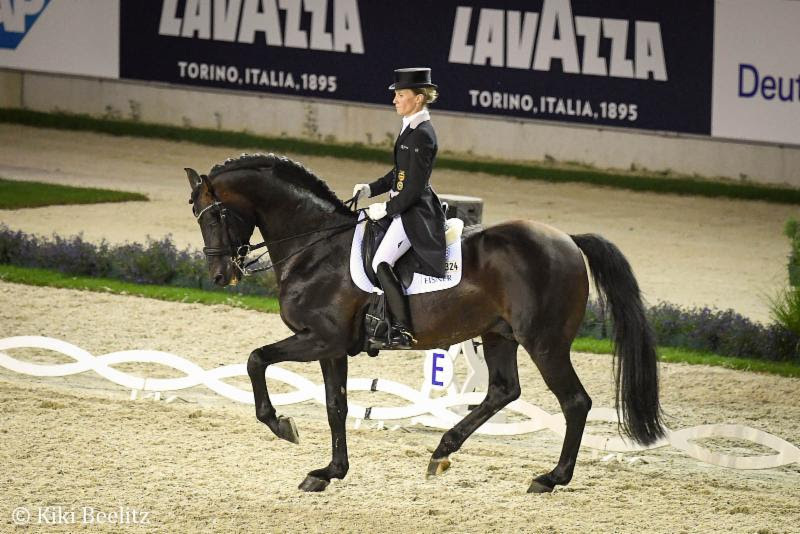 They placed second in the CDI4* Grand Prix Special with a 76.686 percent. The 15-year-old son of Dressage Royal has a history of international success and outstanding scores in the show ring, and Leatherdale Farms is thrilled that he is continuing to flourish with Langehanenberg. “Watching Helen and Damsey in the beautiful Aachen show ring was breathtaking,” his owner, Louise Leatherdale, said. “What a dream come true for this pair after starting out together only a year and a half ago. Helen rode Damsey so beautifully and Damsey gives his all to her every time. They are on the road to success! “Damsey’s heart and work ethic alone gives me such pleasure but to have them recognized for their talent and hard work by being named to the German team for the European Championships in Sweden is truly the icing on the cake!” Leatherdale said. Langehanenberg and Damsey FRH will join fellow German teammates, Isabell Werth on Weihegold OLD, Sönke Rothenberger on Cosmo and Dorothee Schneider on Sammy Davis Jr. in Gothenburg, Sweden, Aug. 22-27 for the European Championships. “I want to give many thanks to the whole team including Hengststation Meyer, Jonny Hilbareth, who so wonderfully trained Damsey in past years, Damsey’s wonderful groom and the rest of the Leatherdale Farms team!” Leatherdale concluded.